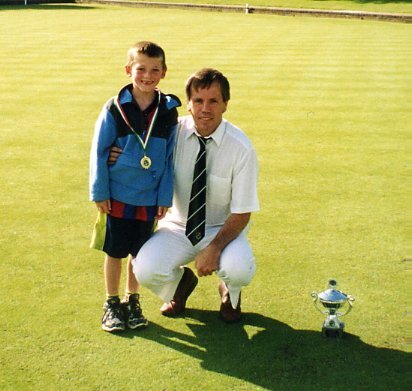 The club has a strong policy for encouraging the youth of the area to participate in the game of bowls. The Club recognise that young players are the long term future of the club - emphasised by the fact that all Juniors under 18years play totally free. No coaching fees, no match fees, no competition fees - totally free ! Bowls to suit even the smallest hand are available to use for free. The Junior members regularly meet after school on Friday afternoons throughout the summer months. Some of the boys started playing at 8 years old and are now regulars in the 1st or 2nd teams. A dedicated coaching team give their time free for any youngsters over the age of 8 years. 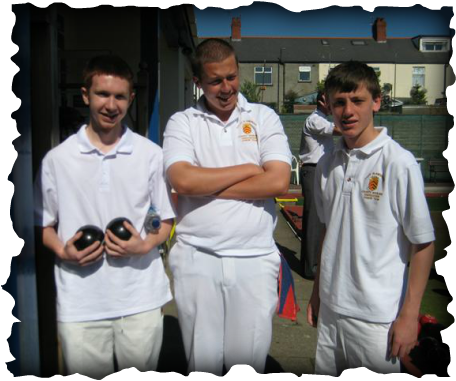 Fifteen year old Ysgol Plasmawr pupils Joel Dyer, Harri Lewis & Owen Morgan were selected to represent South Glamorgan Under 16s in the 2010 series of matches. They were proud to receive their County shirts at a ceremony at Penylan Bowling Club. 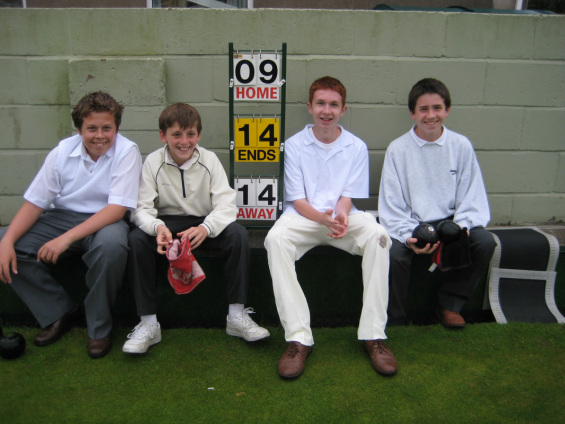 The 3 boys play regularly in the Pentyrch league teams, and Harri & Owen fought a fierce battle in the 2010 Junior Championship Final, with Owen retaining the trophy with a 21-20 victory. Since 2002 the Club has provided coaching to the Year 6 pupils of local Primary Schools - Pentyrch Primary and Ysgol Creigiau. The boys and girls enjoy 2 or 3 coaching sessions followed by a match between the two schools. Pentyrch Primary were successful in the early years, but 2009 saw Ysgol Creigiau taking the shield back to display in their school and now the cup regularly changes hands. As numbers increased the Junior section managed to produce a team of its own. The boys were thrilled to compete in 2008 against local rivals Whitchurch - even more so when they came away with an excellent win. Owen Morgan (skip & captain). Click here to watch a video of Owen Morgan taking part in the Men's Triples Competition.